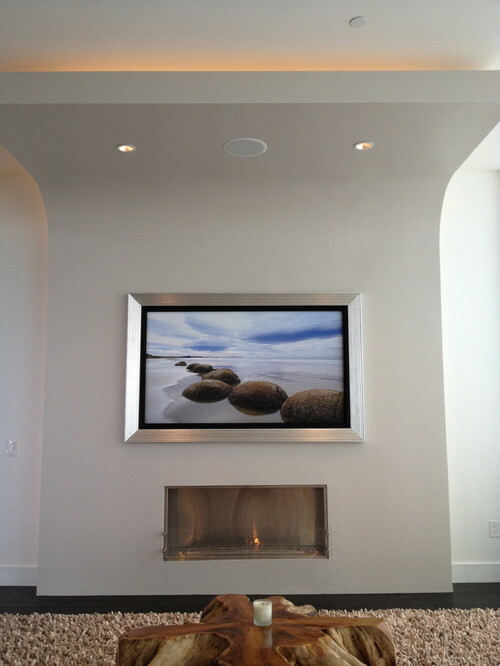 Digital art is becoming one of the top home design trends of the moment. If you’re confused about exactly what this term means, “digital art” refers to the use of digital technology as an essential part of the creative process. Other terms used to describe this art is “computer art,” “multimedia art,” and the larger umbrella term “new media art”. 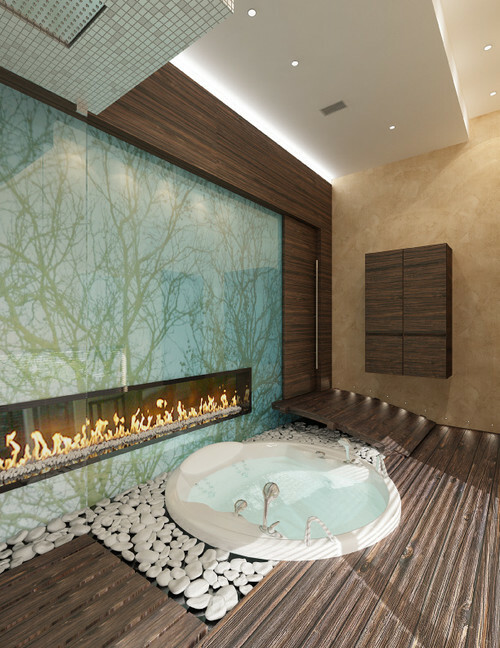 This year in home design, digital art seems to be supplanting other traditional art forms in which the handmade personal quality is important (paintings, drawing or sculpture.) The aesthetic is slick, sleek and critics might argue cold and mechanical. In part, this new aesthetic is a reflection of our digital age. A younger generation of artists who grew up wielding Ipads and Iphones as toddlers are now making their imprint in the world of art. 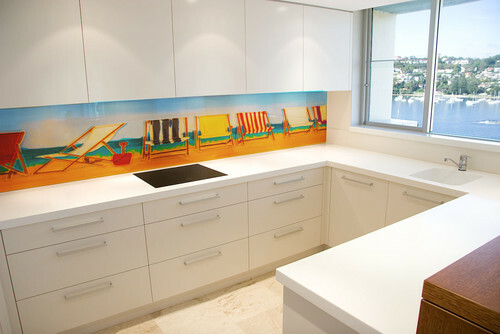 Below, check out custom digital art created on a glass shower splashback. 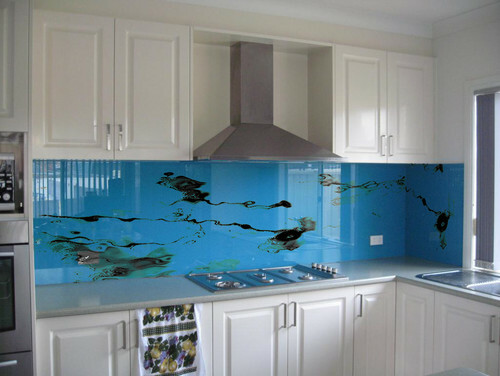 This concept of printing a digital image on a 6 mm glass can be applied not only to splash-backs in bathrooms, but backsplashes in kitchens as well. 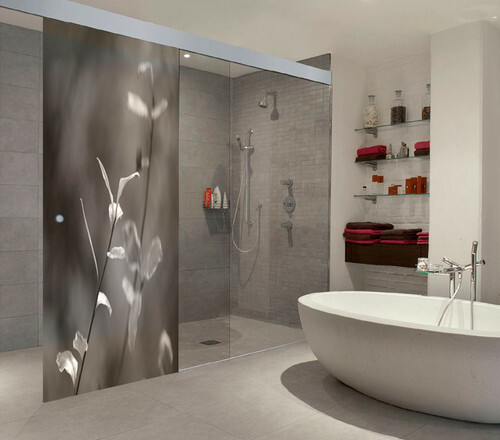 The great thing about digital art is that it is perfect for humid environments such as bathrooms and kitchens. 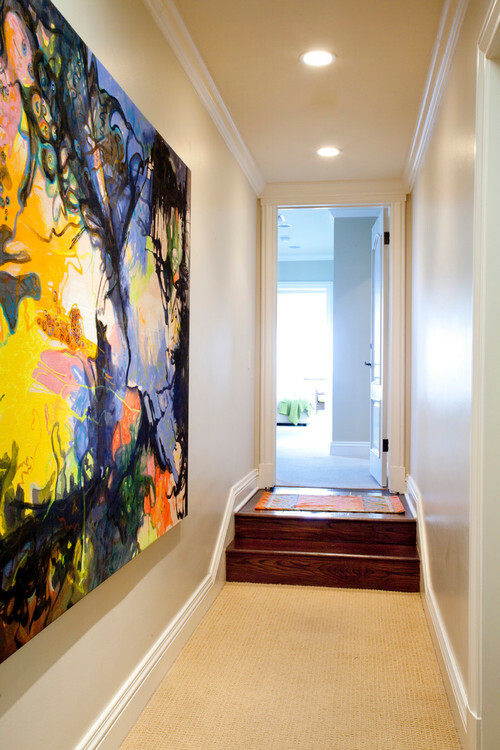 It’s a clever way to add color and interest in places that are not ideal for hanging more delicate paintings or drawings. Prints on glass can be easily cleaned with a damp sponge and will retain their luster and beauty despite weathering some tough conditions. 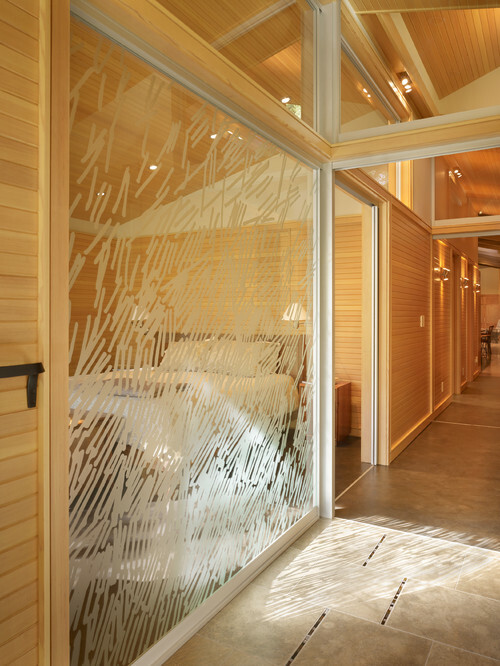 That being said, digital art on glass is also used in other types of environments to provide pattern and interest. The print below was first drawn by hand with a pen, then digitized and transferred to glass for a glass wall separating a bedroom from a hallway. Of course, not all digital art serves as just a background to other types of action. 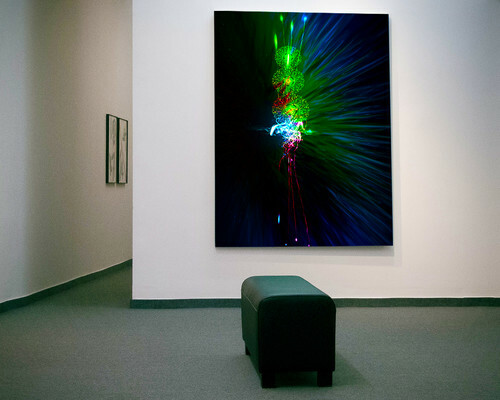 Some digital art performs as a centerpiece, taking the place of a traditional painting. For instance, the digital art piece below is simply a fine abstract art piece that would be perfect above a fireplace or in some central location in a home. Here’s how it works: You frame a television and get software to display a digitized image on the screen when the television is not in use. 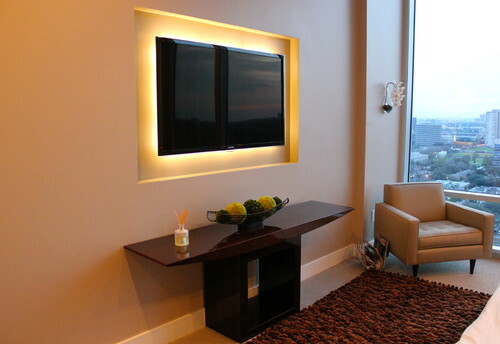 Another version of this idea is to use a TV backboard of plexiglass with LED lights to create an artsy feel, as seen above. But despite the digital trend, we predict that conventional painting and drawing isn’t going anywhere soon. Many of us could never give up the handmade and personal feel that old fashioned oil or acrylic on canvas offers. The painting below just leaps off the walls. This entry was posted on Tuesday, January 6th, 2015 by preynolds and is filed under How To, Tips, & Advice. You can follow any responses to this entry through the RSS 2.0 feed. You can leave a comment. Beautiful article. 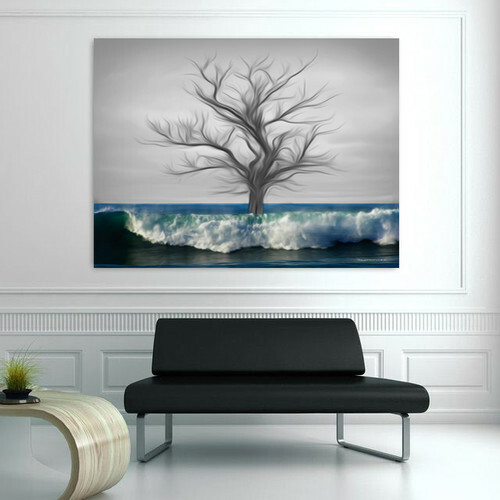 The trend of digital art on Plexiglas and aluminum is definately growing. We at American Frame have seen all kinds of applications from fine art, to decorative to signage. 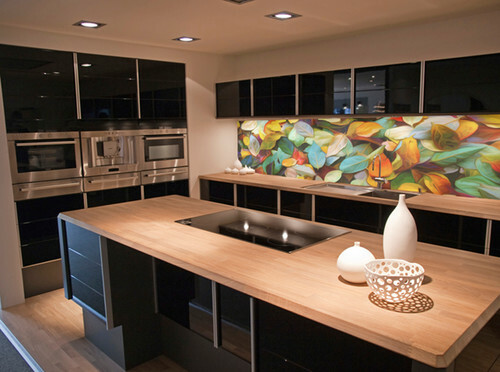 The idea of using printed art as a backsplash is fantastic! I will definately be pointing customers to this article to learn more.